With the dust settled on another Olympic Games, Masters swimmer Christine Goodair lets us in on her favourite 11 Olympic swimming books. Do you take inspiration from veteran Olympic swimmers like Andrew Czyzewski does? Or did you find one of the younger swimmers inspiring at Rio 2016 this summer? Many Masters swimmers have had dreams of competing at the highest level. 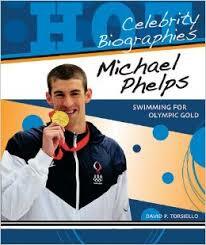 And this list of 11 Olympic swimming books reveals the journey some of the top athletes took to the top. So if you’re needing a page turner for those quiet moments. Or even – dare we say it – a stocking filler for a swimming-obsessed relative, why not try one of Christine’s favourites? Published in 2014, this book relives the sport’s greatest moments on its biggest stage. 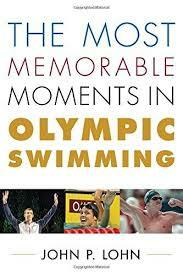 Through careful research and personal memories from swimmers themselves, the author has brought together the key performances, top athletes, major controversies and improbable victories of the games. Listed chronologically, the progression of swimming as an Olympic sport comes to life as the top 25 moments are revealed. For those of you who like facts and figures, the appendices include the top Olympic medal winners by country and by athlete. Michael Phelps is considered by many to be the greatest Olympian swimmer of all time. He holds the record for the most Olympic golds (23) and most Olympic medals (28) in any sport. This and No Limits, the Will to Succeed by Michael Phelps with Alan Abrahamson explore the hard work, demands and sacrifices made upon him to succeed, both in the pool and out of it including the psychology and mental preparation undertaken. A team of talented young Californian men begin pursuing the most elusive dream in sport, the Olympic Games. The author recounts their journey to the 2000 Olympic Games and the pressure they come under as friends and rivals whilst seeking to fulfil their aspirations. 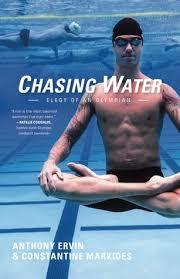 Published in 2016, Chasing Water describes the dramatic and unorthodox path that Anthony Ervin took to become an Olympian. At 19, Ervin won gold at the 2000 Sydney Olympics, followed by early retirement afterwards. After auctioning his gold medal for charity, he set off on a different life, partially self–destructive, before returning to swimming. Jessica Hardy, an American swimmer who specialised in breaststroke and freestyle events, is a two-time Olympic medallist and former world record holder. However, her career stalled in 2008 when she failed a drug test and was banned from Olympic competition. In this biography she covers her journey from trials to triumph, from wounds to wisdom, and from setbacks to comebacks. Published in August 2016, this is a swimming biography by Shirley Babashoff who, prior to the 1990s, was considered to be the most successful American female Olympian. From a difficult childhood and beginnings as a determined young athlete growing up in Southern California in the 1960s, she tells her story of becoming a top, controversial swimmer. In the 1976 Olympic Games in Montreal, she asked questions about the ‘masculinity’ of the East German women swimmers only to be accused of poor sportsmanship and vilified by the press, which is unlikely to happen nowadays. 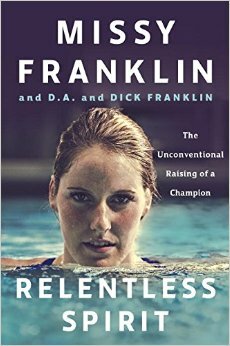 Missy Franklin won five medals at the London 2012 Olympic Games aged only 17. Due to be published in December 2016, Missy and her parents describe what it takes to become a gold medallist and champion swimmer. The story provides an insight in to her training regime, seeking and finding the right coaches and handling issues such as school and education. Thorpe retired from competitive swimming in 2006, citing waning motivation, after a highly successful career, but in 2012 he attempted a comeback. 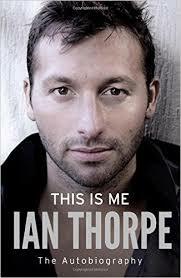 Thorpe describes his life as a swimmer and is candid about the highs and lows away from the pool. 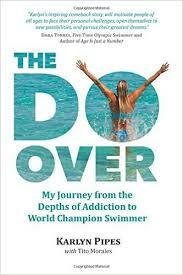 He writes about what it took to come out of retirement and seek to achieve success again in the water. 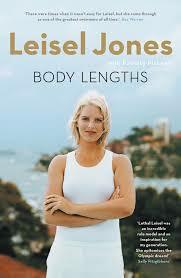 Tells the story of Leisel Jones, an Australian breaststroker who won medals at the Olympic Games in Sydney, Athens, Beijing and London. 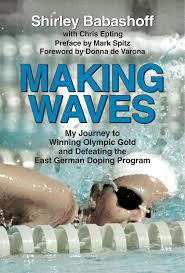 She was the first Australian swimmer to compete at four Olympics. In her biography she describes what it’s like to be thrust into the limelight so young. She reveals the constant pressure she was under – from coaches, from the media and from herself – to be perfect. Despite her swimming successes she talks openly about the difficulties she faced, including depression. 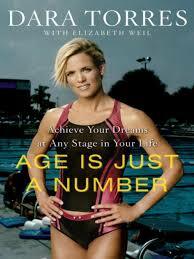 Age Is Just a Number: Achieve Your Dreams at Any Stage in Your Life by Dara Torres and Elizabeth Weil. Dara reveals how the dream of an Olympic comeback came to her when she was months into her first, hard-won pregnancy. She recounts how she returned to serious training while nursing her infant daughter and contending with her father’s cancer. She talks about being an older athlete in what is a younger athletes’ arena and discusses doubt, belief and not giving up at the age of 41. As a young swimmer, Karlyn showed considerable potential to be an Olympic swimmer. But she left the sport after becoming addicted to alcohol and unable to manage the expectations. This honest telling of her story describes how her life sped out of control and how she found the courage and motivation to change, return to the pool and succeed in the world of Masters swimming.